Pick-up Your Copy of SSW&C Today and Join Our 10th Anniversary Celebration! Even though the traditional gift for a 10th Anniversary is tin, we still think wood and the projects you can create with it to be great gifts for any anniversary! 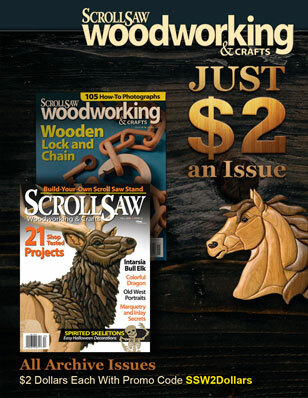 To kick-off this milestone for Scroll Saw Woodworking & Crafts, we packed this issue with great projects and patterns as well as a Buyer’s Guide to help you choose the right scroll saw. There are also 22 Full-Sized Patterns included to help you make some of the featured projects like the Layered Wildlife Scene by Terry Foltz, or the Halloween Luminaries by Gloria Cosgrove. It is thanks to all of our loyal readers that we are able to reach this 10 year milestone! So to say thanks, we will be celebrating all year long with contests and great prizes. 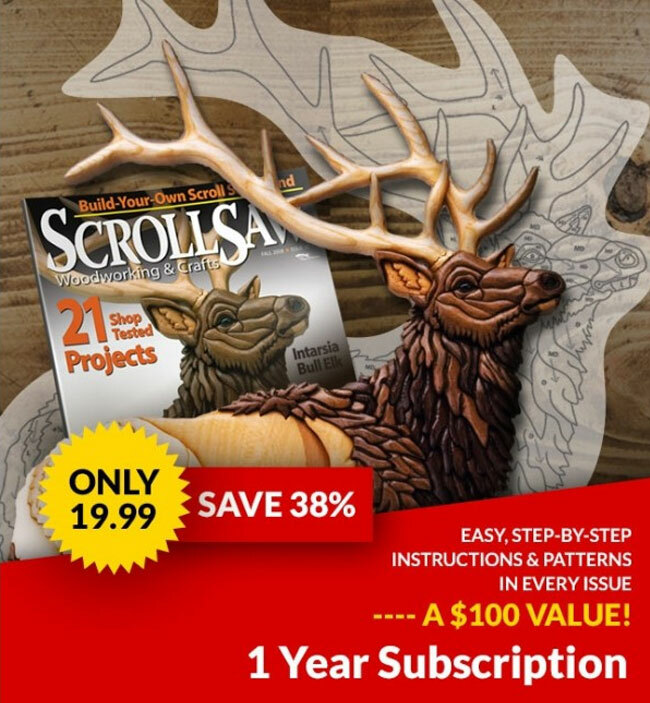 Click here for all the details, and to sign-up for our first contest where you could win a 2-year subscription and an entire Scroll Saw Library from Fox Chapel Publishing! 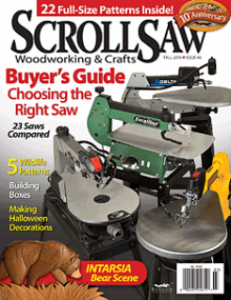 Looking for a Scroll Saw?